Good morning!! 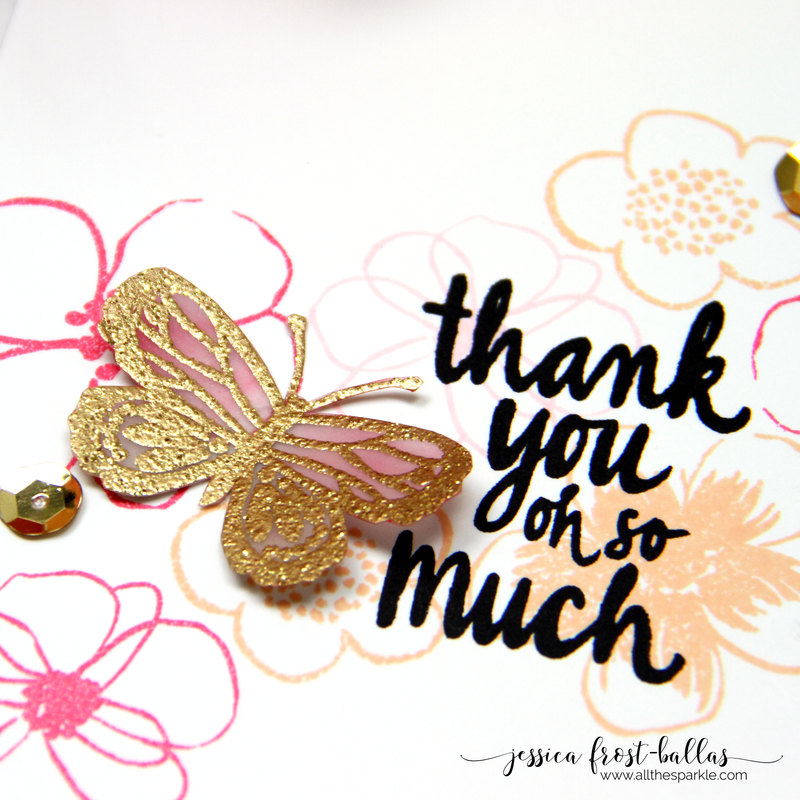 I’m thrilled to be a stop on the hop for the 2nd Anniversary Blog Hop for Studio Katia! Studio Katia is celebrating their Anniversary with a new release!! The May 2018 release includes 6 new clear stamp sets and 4 sets of coordinating dies, 4 new stand-alone creative dies, 2 new stencils and new embellishments!! Today I’m using the adorable Under the Sea set for my card! Anyway, as soon as I saw the stingrays in the Under the Sea set I wanted to use them on a card! I started by blending peacock feathers and mermaid lagoon distress oxide ink onto a piece of white cardstock. Then I splattered the panel with water and blotted off the excess. Next I laid the Brush Stroke Waves stencil over the panel and applied a thin layer of blue topaz glimmer paste! I let that dry and then trimmed the panel down to 4″ by 5.25″. Next I stamped the stingrays onto watercolor paper with versamark and heat-embossed them with silver embossing powder. I watercolored them with my mijello mission gold watercolors and let them dry. Then I masked off the bottoms and added splatters of dark grey paint to give them the look of an eagle ray (like the teacher ray from Finding Nemo!). I used the coordinating dies to die-cut them and then added a layer of spectrum noir clear sparkle to their tops. 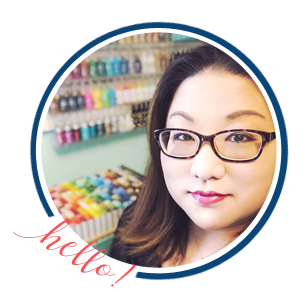 To celebrate their anniversary Studio Katia is giving away TWO $100 CAD Gift Certificates every day of the Blog Hop! That’s FOUR chances to win big!!! The winners will be chosen randomly from comments left on ALL blogs of the Blog Hop. You should have arrived from Erum and Ilina is your next stop. If you get lost you can find the full hop list below or visit the Studio Katia Blog! This is the second day of a two day blog hop so make sure to hop along on day one for more chances to win! 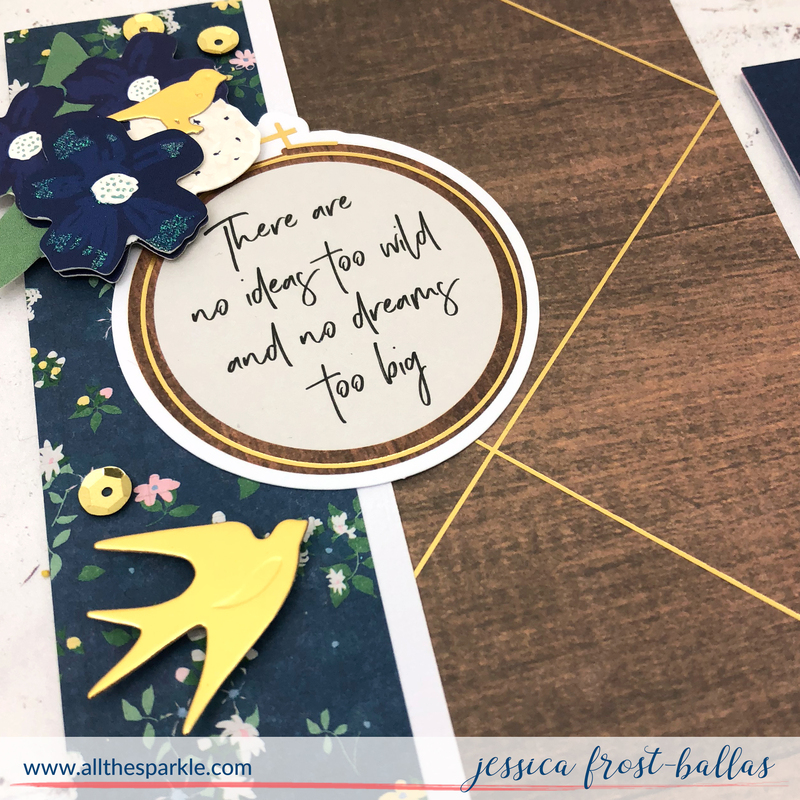 Jessica Frost Ballas –> You are here! I really love the added glimmer to the background. Great card. I LOVE LOVE LOVE the background and the sparkle! GREAT JOB! The use of the stencil really makes the card stand out! So pretty! I love the glittery waves background. This is a fun new ocean set! Great card, yes Sting Rays can be dangerous but Manta Rays are not (no stinger). Always shuffle your feet to avoid stepping on either. I love your waves, so pretty. I loved your storg and your card is beautiful! What an amazing experience! Personally not a big fan of stingrays, but I do think your card is beautiful. The background is amazing. I don’t even want to think about that experience! I am pretty sure I would have freaked out over the tarantula! But … thanks for sharing. The trip sounds like a lifetime memory kind of thing. I love your background, and now I see why you colored your ray more naturally. Thank you. Thanks for a pretty card. Love Oxides! Quite the adventure. We got stung by jellyfish so I would be equally afraid of a stingray. Outstandingly cool card! What a perfect card for you to make. Good thing it wasn’t a shark!!! Wow this is cool. I love the colors and the texture you got from the distress oxides. would be a great masculine card! 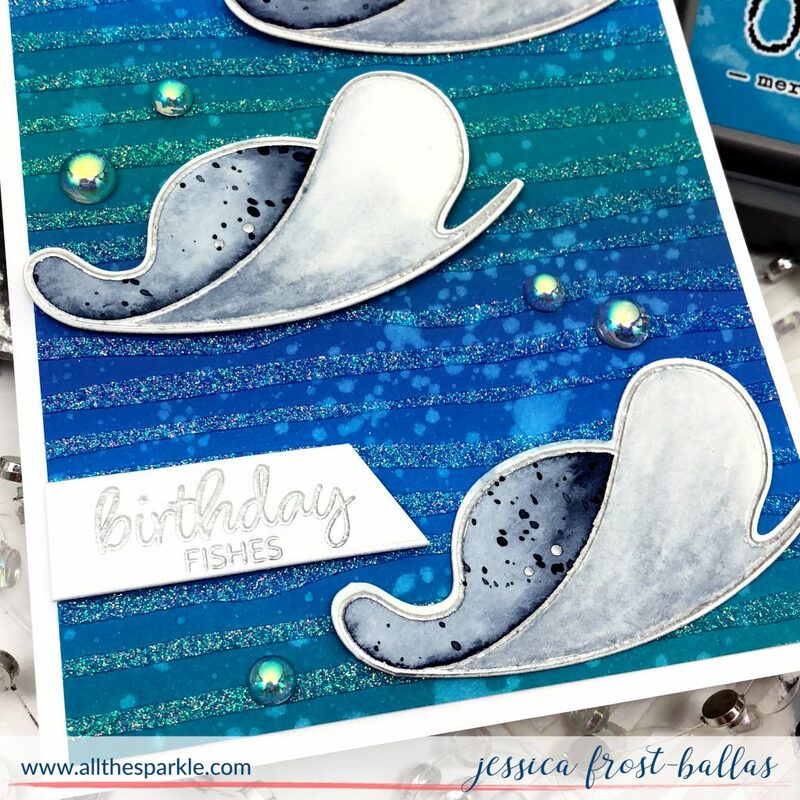 I LOVE your stingray story and your awesome card too! The colors look amazing! Thanks for being a prt of this awesome hop! I love the background of your card. So pretty! Thx for sharing your kayak experience too. Ouchy! your sparkling cards are always sheer delight! 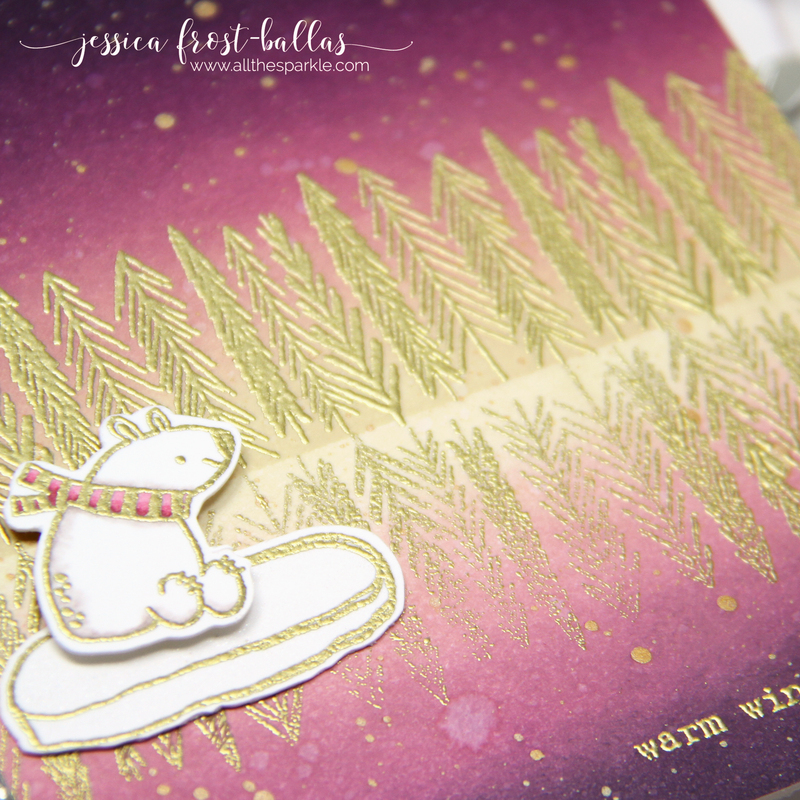 Love your card, Jessica! But, your stingray story gives me goosebumps! The ocean creatures are a bit intimidating to me!! Wow, Jess, you are sure an adventurous soul! I can’t imagine going that far in a kayak & then to step on a stingray! I wouldn’t want to ever see one again & you used the stamp to make a gorgeous card. Amazing!! 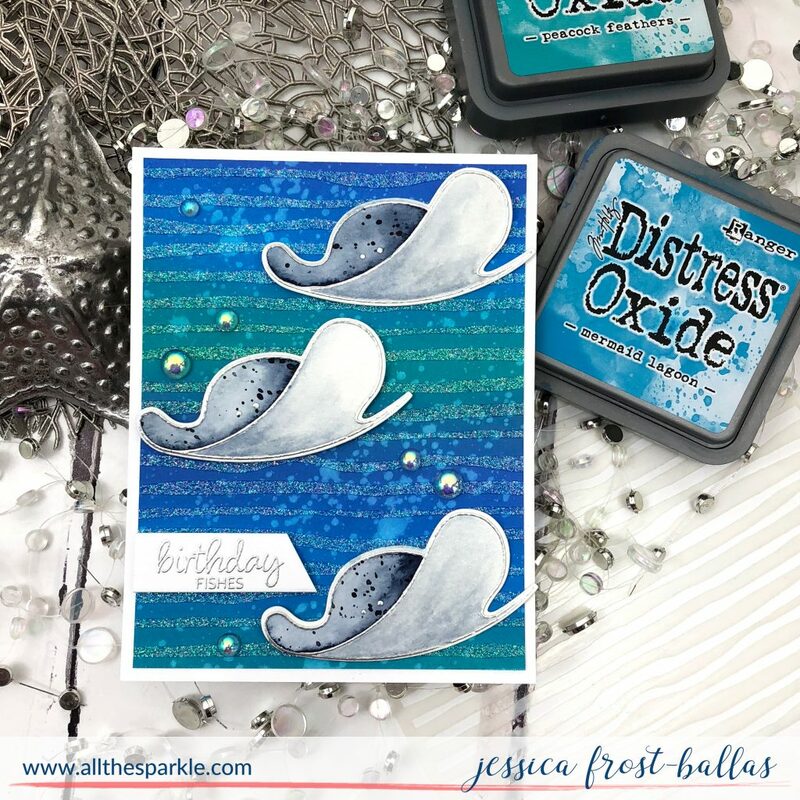 I love how you created the ocean look with distressed ink!